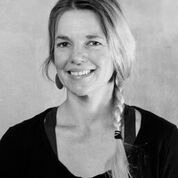 Meredith Killian is a graduate of the Montana School of Massage, a Licensed Massaged Therapist, and a Certified Myoskeletal Therapist. She works in Missoula where she is dedicated to a career of helping people return to a pain-free, active, healthy lifestyle. She is a member of the IKFF Blackburn Kettlebell Sport Team, an IKFF Level 2 Certified Kettlebell Teacher, Contending Master of Kettlebell Sport and holds an ACE Personal Trainer Certificate. She is also an outdoor enthusiast that loves spending time with my family skiing, hiking and backpacking. Her path to becoming a massage therapist began in 2011 when she began her career as a competitive weightlifter. While on the competitive circuit she quickly learned the importance of massage therapy. To become a professional level athlete, she had to endure intense training sessions and repetitive stress to her muscles and joints. Not long into her career Meredith notes she became “injured” and was unable to mobilize her shoulder and assumed her lifting days were over. After trying many different types of therapies she finally found a massage therapist who was able to free her shoulder getting her back on the platform. That experience led her to pursue her goal of helping others improve their mobility and return to normal pain-free function. 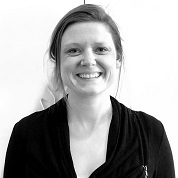 Meredith strives to provide exceptional service and education to every client she is fortunate enough to work with. Sarah graduated from a 750 hour Massage Therapy program here in Missoula, Montana. Sarah is driven and ambitious to further her education in order to provide the best services to each and every client. You can often find her with her nose in an anatomy or kinetic movement book. She currently specializes in Traditional Swedish Massage, Deep Tissue, Trigger Point Therapy is a Certified Master Reiki Practitioner, and currently holds 200 hour Yoga Teacher Training certification. Stay tuned as advances her learning and various certifications expand over the years! When Sarah isn’t in the office, she enjoys practicing yoga, going on mountain adventures, biking, identifying plant species, exploring Montana History, or just enjoying her time with her husband, three sons and dogs. Michael is a graduate from the Massage Training Institute of Montana located in Kalispell Montana. He is certified in Neuromuscular Therapy with specializations in deep tissue, sports massage, therapeutic, Swedish and relaxation massage. 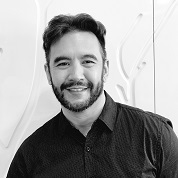 He looks forward to the opportunity to work with you to achieve your goals for massage. Originally from California, Michael has made Montana home for the past 18 years. He is a proud father of 2 boys, Jordan and Nile. When not in the office, Michael enjoys hiking, fishing, camping, yoga, training in Brazilian Jiu Jitsu and traveling the world. Call our Missoula office today and schedule an appointment today!